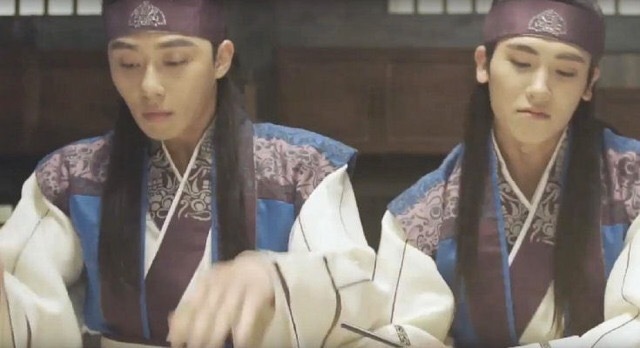 ‘Hwarang‘ teases for its next episode which is full with fun cohabitation banter, as well as the development of the love triangle between Park Seo Joon, Go Ara and Park Hyung Shik. Upcoming KBS youth sageuk ‘Hwarang‘ released main teaser focusing on the love triangle between the three main leads Park Seo Joon, Go Ara and Park Hyung Sik. Upcoming historical KBS drama “Hwarang” confirms leads Park Seo Joon, Go Ara and ZE:A‘s Hyungsik. Go Ara poses in pictorial for the latest issue of ‘BAZAAR‘. Upcoming Korean movie ‘Joseon Magician‘ released new beautiful poster and stills. Actress Go Ara graced the covers of both Korea and China’s January issues of ‘CeCi‘ magazine. Gummy sings “Please Love Me” OST for upcoming Korean movie ‘Joseon Magician‘. Upcoming Korean movie ‘Joseon Magician‘ teases with a beautiful character trailer. Upcoming movie ‘Joseon Magician‘ released new intense trailer and poster. Upcoming Korean movie ‘Joseon Magician‘ starring Yoo Seung Ho and Go Ara, unveiled stills of the beautiful film locations all over Korea.